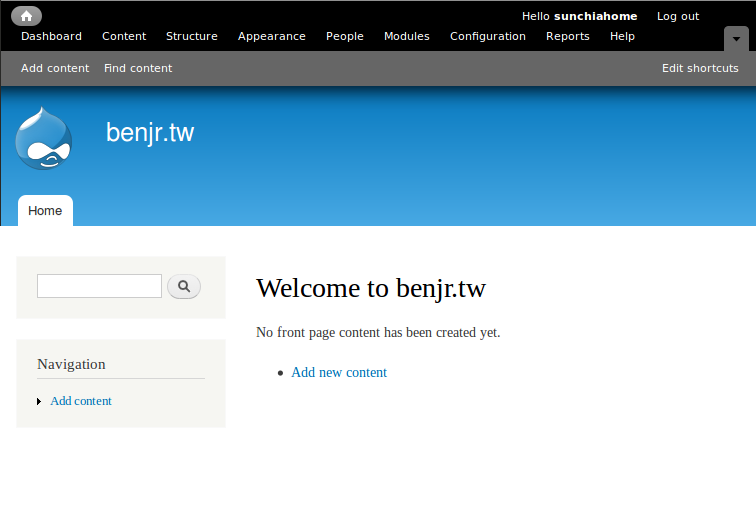 要在 CentOS 6 使用 Drupal 7 要先安裝 LAMP(Linux, Apache, MySQL, PHP) 套件,請先參考 http://benjr.tw/12394 安裝所需的套件. 接下來就是去 Drupal 的官方網站 http://drupal.org 下載.進入 Drupal 的官方網站在右上方可以看到 download 的下載點.按一下進入下載頁面.目前我們要下載的是主程式,亦可在此連結找到 http://drupal.org/project/drupal,目前最新的版本為 7.X,裡面還有很多相當有用的資源,其中的 Modules 在使用中具有相當重要的決定關鍵,只要是主程式沒提供的功能在這裡都可以透過 Modules 來擴充.之後會介紹此網站所使用的 modules. 現在開始設定工作大部分都是透過 web 的方式來編輯系統所需的資料,現在就進入安裝畫面看一下 http://localhost/install.php ,指定 install.php 就是透過Drupal 提供的 PHP 程式去幫我們填入網頁所需的資訊. 在 Verify requiredments 這邊系統會幫我們檢查需求是否符合 drupal 7 的需求,如果有安裝 Apache,PHP,MySql ,需要修改的是權限這一部分. 設定大部分都是透過網頁的方式來編輯系統所需的資料,所以一開始需要將 /var/www/sites/default/setting.php 設成可以寫入的.如果沒有將 /var/www/sites/default/ 設成可以寫入的.那你會遇到下面的錯誤訊息. 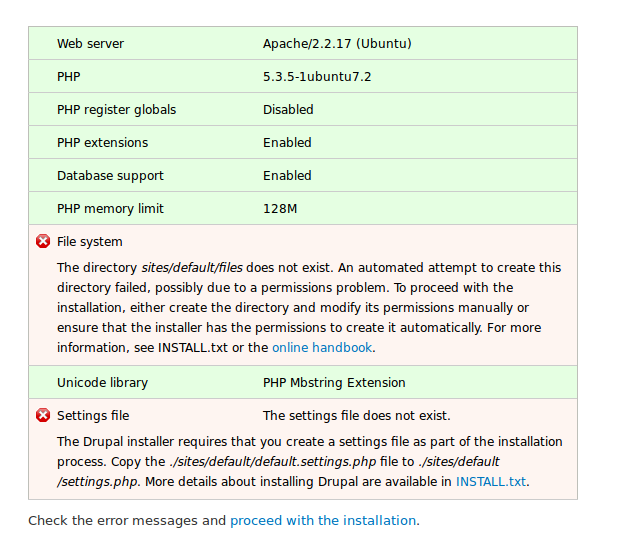 "The Drupal installer requires that you create a setting file as part of the installation process. Copy the ./sites/default/default.setting.php file to ./sites/default/setting.php." 預設 setting.php 並不存在,直接複製系統預設的 default.setting.php 即可. The directory sites/default/files does not exist. 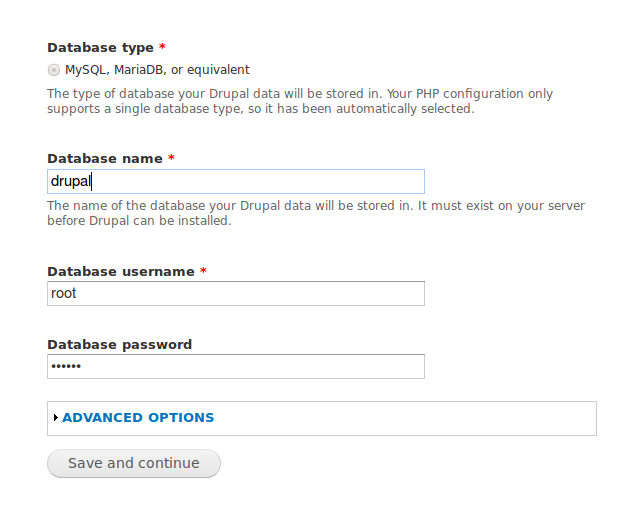 你必須先設定過 MySQL 資料庫(或是其他資料庫),輸入 MySQL 資料庫名稱以及 database username (資料庫使用者) , Database password (資料庫密碼)是 mysql 的密碼.請依據你的實際設定修改. 預設時區 Defeault Time zone就設定成 +0800這是台灣的與標準時間的時差.